The Aegean Sea has witnessed an unusually high number of dolphin deaths over the past few weeks with environmental activists attributing the losses to Turkey’s largest naval exercise, Greek newspaper Kathimerini reported on Sunday. On Feb. 28, Turkey began the Blue Homeland 2019, the largest military exercise in the country’s history, which spanned over nine-days with drills in the Black, Aegean and eastern Mediterranean seas. The exercise saw the participation of 103 navy ships and aimed to boost the efficiency of the systems of command and control. 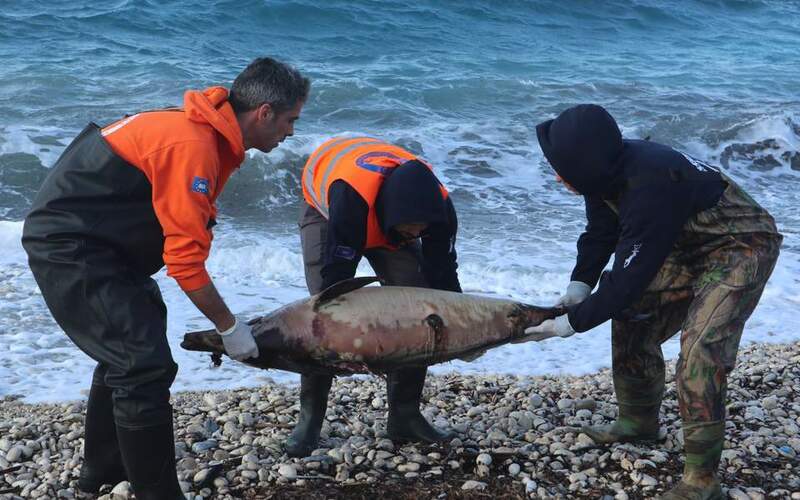 A total of 13 stranded dolphins were found in the Aegean up until Wednesday, six on Samos island, close to Turkey’s coast, with the actual death toll is believed to be higher, Kathimerini reported, citing the Archipelagos Institute of Marine Conservation. The dolphins, most of which were young, showed no sign of disease or serious injury, according to necropsies. Kathimerini highlighted that scientists warn sound waves from military-grade sonar can kill or otherwise impair marine mammals, noting that the NGO has in the past criticised Greek navy drills for their impact on marine life in the Aegean.